Born a working-class, fatherless Californian in 1876, Jack London spent his youth as a boundlessly energetic adventurer on the bustling West Coast; by adulthood he had matured into the iconic American author of such still universally loved books as The Call of the Wild and White Fang. 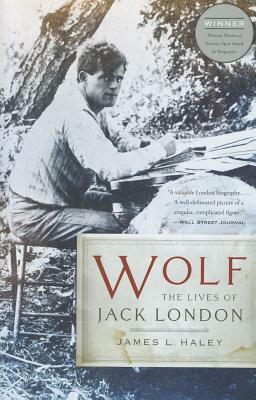 In Wolf, award-winning biographer James L. Haley explores the forgotten Jack London: a hard-living globetrotter bristling with ideas whose passion for social justice roared until the day he died. Returning London to his proper place in the American pantheon, Haley resurrects a major American novelist in his full fire and glory. James L. Haley is the author of The Buffalo War, Passionate Nation, and Sam Houston: A Life, which won nine historical and literary awards. He lives in Austin, Texas.